As we gear up for the Christmas holidays, I hope parents will be mindful that this is really the best time of year for children to discover new books. Everyone needs some downtime during the Christmas holidays and reading is a great way to relax. Here are some of the most popular children’s books for readers eight to 12 in my school library. 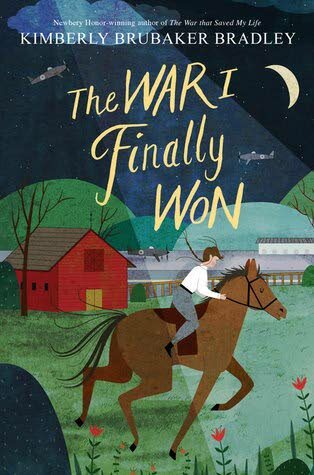 The War I Finally Won by Kimberly Brubaker Bradley – I am pleased to announce that there is a sequel to The War that Saved My Life, the book many of my students say is their favourite. Set in England during World War II, The War that Saved My Life tells the story of Ada, who is mistreated by her mother because Ada has a club foot. Ada discovers happiness when she and her brother are sent to live in the countryside with other children after the Nazis begin to bomb London. Children are fascinated by the descriptions of ordinary things – like grass – seen through Ada’s eyes. In The War I Finally Won, Ada is still coping with World War II. But there are changes in Ada’s life that make this a satisfying resolution to the issues in The War That Saved My Life. Once again themes of family, an emerging sense of individuality and perseverance resonate with young readers who discover interesting information about World War II in Brubaker Bradley’s novels. 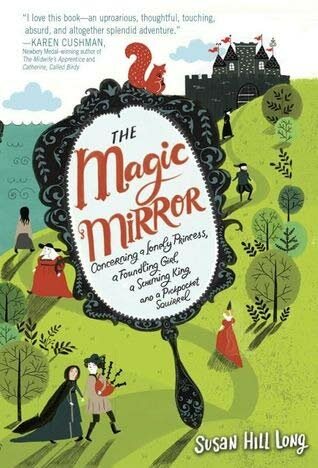 The Magic Mirror: Concerning a Lonely Princess, a Foundling Girl, a Scheming King, and a Pickpocket Squirrel by Susan Hill Long – Maggie, a foundling girl who is cursed to use crutches, finally has a chance to change her luck when she is given a magic mirror. A colourful cast of characters define this fun-filled, action-packed journey. Young readers will cheer for Maggie’s quirky friends and identify with the themes of friendship and magic. There’s a mystery to solve as well. 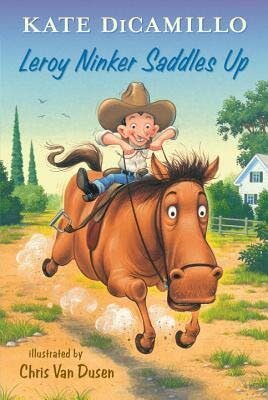 Leroy Ninker Saddles Up by Kate DiCamillo – Leroy Ninker works at a concession stand in a drive-in movie where he dreams of being a cowboy like those he sees on the big screen. When Leroy manages to get his hands on an old horse he discovers dreams can take a lot of work. Kate DiCamillo ranks high among children’s favourite authors. Older readers will enjoy The Tale of Desperaux and Because of Winn Dixie. 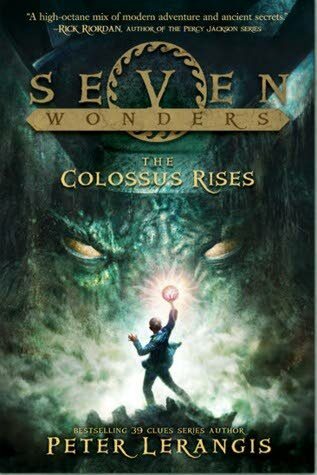 Seven Wonders: The Colossus Rises by Peter Lerangis – Jack McKinley thinks he is an ordinary boy until he collapses in the street and is taken to a strange hospital in a strange place. There he learns he has a rare genetic order that has been passed down to him from his ancestors living in a long-lost kingdom. This is the first in a new series by Peter Lerangis, an edgy writer who brought us Smiler’s Bones, based on the true story of four Eskimos who were used as living exhibits in a New York museum. Grandpa’s Great Escape by David Walliams – Jack is the only one who appears to be willing to humour his grandfather’s notion that he is still a World War II Spitfire pilot. The two dreamers embark on some magical adventures. Grandpa’s Great Escape is 437 pages long, but the font is large and the Roald Dahl-like illustrations are plentiful. (There’s one on almost every page). This novel will engage young readers and make them realise they can work their way through a longer book. There is nothing more rewarding than the feeling that a big book is not intimidating. So, gear up for the Christmas holidays by encouraging your child to read. Consider a book from this magical reading list. Reply to "Great time to discover new books"